JM Finley LLC provides professional storefront awning design and installation in Pennsylvania to a wide range of commercial clients. From restaurants to retail stores, coffee shops, boutiques, hotels and many more, our extensive selection of colors, styles and designs makes each business welcoming and distinctive. Commercial awnings not only add visibility and recognition to your business, but they may also add additional outside dining areas, or protect your windows from harsh sunlight. 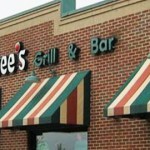 Our awnings compliment your building’s exterior and add brand recognition by using your colors and logo. Our design team will build your awning with your choice of style and construction, and install your awning or series of awnings on-site. If your awnings require maintenance, repairs or cleaning, our teams will restore your awnings whenever you need it. Choose from retractable awnings, aluminum awnings and cloth awnings using weather-resistant acrylic material. Contact us to start designing your commercial awnings.